Let's bid a grand goodbye to 2018! 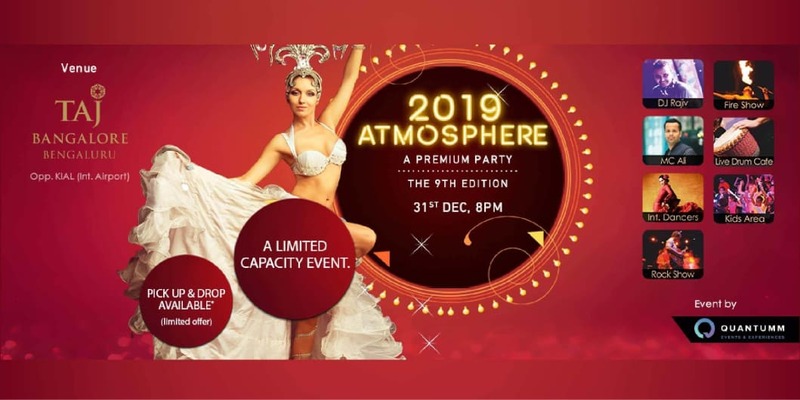 We bring to you, Atmosphere 2019 at the most luxurious Taj Hotel, Kempe Gowda International Airport! Experience the extravaganza of an open-air magical Bollywood night with Bollywood king, DJ Rajiv, himself. With a live rock show, drumming performances, international dancers and a live fire show, hosted by the super enthusiastic MC Ali, the NYE is going to be a total blast. A separate kids zone staffed with dedicated nannies is here to look after your kids, so you can let loose and enjoy completely. With a magic show, balloon games, a bouncy castle, a tattoo artist and animated movies on a large screen- there's something for everyone at this gala! 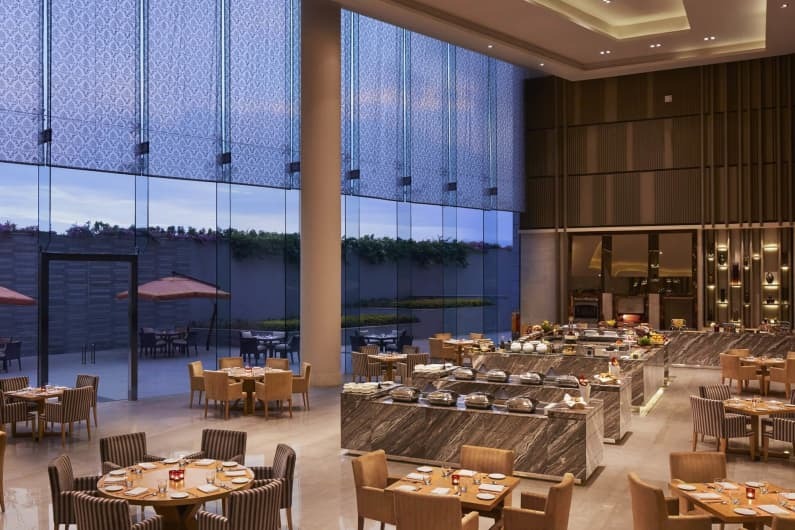 Indulge in a luxurious 5-course meal, with unlimited servings and drink away at the unlimited flow of premium liquor at one of the most high-profile New Year parties in town! Hurry up and book your passes now, let's make 2019 fomo free and full of party! 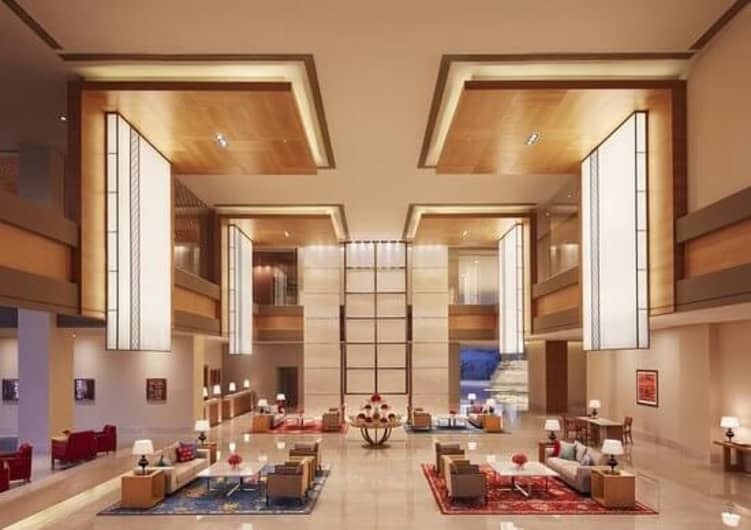 You are at the most well-connected traffic free 5 Star Hotel in Bangalore, just 35 mins from Hebbal Flyover. Easy connectivity via Mega Cabs, Meru Cabs, Ola, Uber; Volvo Buses with 24-hour availability. garnered prestigious clients and thousands of fans! · Dj - Bollywood - Punjabi - House - Commercial - Retro. DJ Rajiv - DJ Rajiv specializes in corporate events, private parties and weddings. 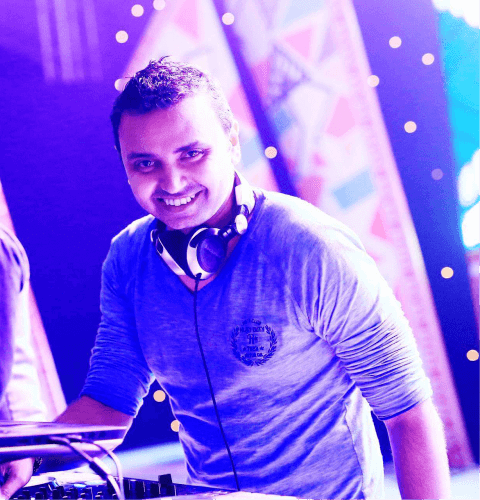 He has been the preferred DJ of many event and corporate companies across India since the past 10 years. DJ Rajiv has proved his DJing techniques by winning the prestigious title Winner of War of the DJs - Bangalore Central in 2009. 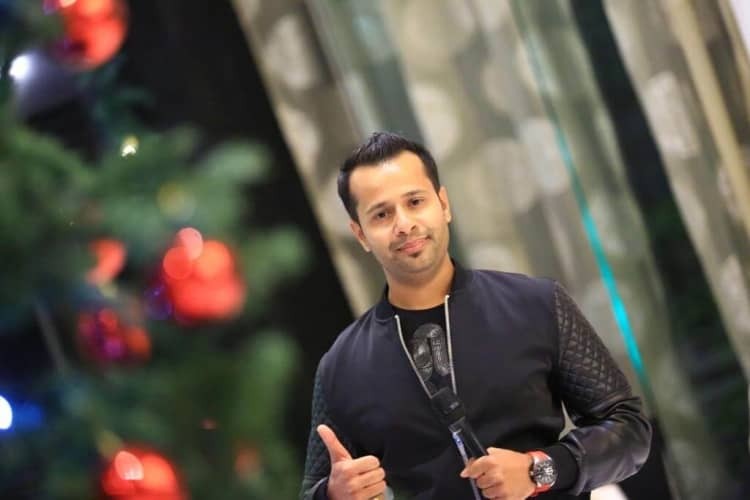 He loves playing various styles of music including Bollywood Remixes, Bhangra, House, Commercial English, Retro and few South Indian Regional hit in his performance. He thinks interacting with the crowd and playing unique tracks will make an event unforgettable. His DJ skills include Beat Matching, Scratching, Beat Juggling, Perfect Bar Timing and creating a perfect party out for any occasion. 13. P&D not available for INR 5499. Not available for room package. 14. Venues/Organizers are solely responsible for the service; availability and quality of the events.